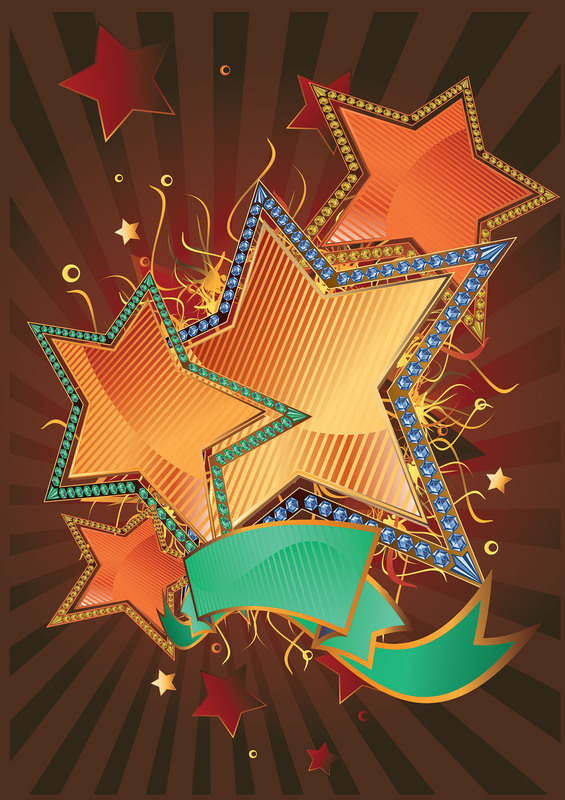 How to Jump Start Your Social Media Success in the New Year. Happy New Year! I hope you are as excited as I am about the New Year! Now more than ever we have unprecedented opportunities and resources available to us to make this a transformative year! I am talking about the online marketing and social media platforms that can essentially sky rocket your business in 2011. I wanted to take a few minutes to share with you my special gift and the upcoming contest. From January 4th through February 4th, I am offering a FREE 60 minute social media strategy session for those who qualify and are interested in taking their business to the next level in 2011… As they say “If you start the year off fast and steady…You tend to finish the year fast and certain”. Why should you be interested? It’s no secret a paradigm shift in consumer behavior is forcing businesses to change how they market products and services. Ninety-seven percent of consumers now go online for information before making a buying decision. Hundreds of millions of people use social media like Facebook and Twitter every day to communicate. And Web-enabled mobile phone usage has just exploded. If you have a business and not successfully using the internet to market your products or services, then you are missing out on BIG opportunities. If you don’t understand how to take advantage of the new marketing platform, many of your prospects and customers will not find you, they will not hear about you, and they will not buy from you. In our private strategy session, I will show you what you can do RIGHT NOW to get found online, engage with more prospects, convert more of them into customer and turn them into raving fans with NO EXTRA WORK. FACT: Over 750 million people are on Facebook, Twitter, and Linkedin combined—don’t you think your customers (and competitors) are using social media! This number is more than double the US population. FACT: 74% of ALL consumers now rely on social networks to guide purchasing decisions. Facebook users are BUYERS! FACT: Your potential customers spend an average of 55 minutes a day on Facebook—and YOU can easily attract them. As I mentioned in the beginning, I am currently scheduling 60 minute strategy sessions at no charge from January 4th- February 4th 2011. This is first come first serve as my schedule will fill up very quickly. I am running a contest for everyone who either schedules a 60 minute consultation with me or refers me a viable business that schedules a 60 minute strategy session with me. Everyone who signs up and participates in this contest will be entered into a drawing to be randomly selected. Each point you earn is worth 1 entry. The more points you have, the better your chance to win. Drawing will be held February 7th and the lucky winner will be announced! Good Luck! I look forward to helping you jump start your online/ social media success in 2011! Join me today and get all my secrets in your inbox! 16 Top Facebook Engagement Strategies: Doesn’t Everyone See My Posts? I have been asked this question a lot lately from business owners in my local community—“What is the difference between Facebook personal profile, groups, and fan pages?” It’s a great question and very important that you understand the differences because they are not the same thing and therefore should be used for very different purposes. One of the biggest mistakes that I see people making is that they are using personal account for business purposes. Not only is it not best practices, but Facebook does not allow business promotions on personal accounts. Recently, I noticed a friend of mine who manages a local retail store was using his own personal profile account to promote featured items and discounts being offered at his store. He had all good intentions, but the right approach would have been to set up a business (fan) page for reasons that I will explain later. I offered to help set up Facebook business page, but he said he had someone in his store taking care of that—and I thought GREAT!! But, the next day I noticed something else. Rather than getting an invite to join new fan page (business page) for that store, I got a friend request! Unfortunately, the person who set up the new “profile account” (not a business page) for the retail store did not understand the key differences and advantages for having a designated business page for that store– and unless this is done, there will be major missed business opportunities. 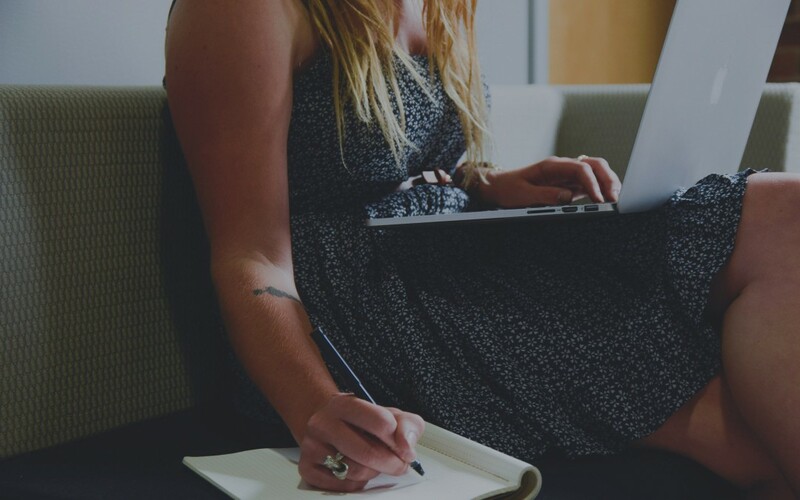 In this post, I will outline the key differences between personal profile, groups, and pages and the advantages for each and why it is essential to have a business page to grow your business, brand, or image. Facebook personal profiles are meant to represent single individuals. The reason why most people use their personal page is to connect and interact with friends and family. However, there are two schools of thought for using your personal account. Some people use this account only for close circle of friends and family members while others will leverage Facebook to build a larger professional network and to develop new relationships outside of family and close friends. Personally, I believe it is always better to grow your network so I am of the school of thought to use Facebook for both building personal and professional relationships. However, personal profiles are not meant to promote your business—that should be reserved for your business page. For example, my personal account and my updates are mainly about personal interests and hobbies and the content on my business page contains useful information relating to social media. Personalized home page – the redesigned personal profile page creates a more social experience and makes it easier for people to see a snapshot you. The new features display a summary of personal information, relationship, recently tagged photos, and top interests showcased as images. 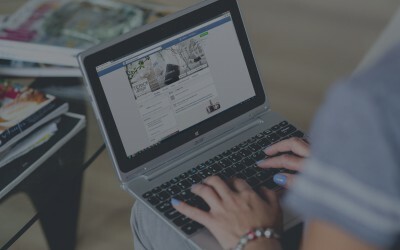 Unlike the personal profile page, Facebook pages are for businesses, organizations, and brands to share information publicly with people who choose to connect with them (“Like” their page). Similar to profiles, pages can be enhanced with applications that engage with their audiences, and capture new audiences virally through friend recommendations, News Feeds, events, and more. Over the past several months Facebook rolled out tools and enhanced social features that allowed web users to experience a personalized version of the internet. Today more than a million websites have now integrated with the Facebook platform and it continues to grow at a rate of more than 10,000 websites per day. Open network—anyone can join or “like” your fan page. With all the recent changes and continuously evolving features, it’s no surprise that Facebook has released a new version of Facebook groups. In fact, the only main thing in common with the old version is virtually the name itself. The new Facebook Groups allows members to selectively share information with a smaller subset of people with whom you interact on a more regular basis, such as co-workers, family, friends, or classmates – the new design makes it easier for users to connect with other members. Mailing list-style notifications: Allows members of groups can keep up to date with email notifications about any posts in the group. In my opinion, I think this is a great new time saving feature if you just want to send the group a quick update – such as an event invite for example. I belong to two mastermind groups, one is secret and the other is closed. So far, I find the new Facebook groups to be very useful and much easier to communicate and share information with other members. Group Control: An important new feature is that the group is controlled by the entirety of its members. However, one feature to be aware of with the new groups is that the creator can appoint people to automatically become members of the group without their prior permission. I would recommend that you ask people first before assigning them to your group in case they are not interested in joining. So you can see there are key differences among the Facebook profile, business page, and groups. Each has its own purpose and benefits. The way I look at it is this: Use your personal account to connect with your friends and to build new relationships strategically with people in your niche and who are your target audience. Discover mutual interests and commonalities to strengthen your connection. Use your business page to engage with your fans, share valuable content—offer important information, tips, useful articles, and anything relevant and newsworthy for your target market. Take advantage of the numerous tools to market your business and grow your fan base. Use groups to communicate with a smaller subset of people. The new groups feature makes it much easier to connect and share information with other members. For example, I’m a member of a social media mastermind group with other social media experts. We use the groups to mastermind together; ask questions; share tips, ideas & latest news; and to help and support each other. If you found this useful, please share with others who could also benefit. If I missed anything or you have things to add, please share your comments below! It is the holiday season and a time to give, celebrate, reflect, and inspire others. Well, I am utterly inspired by my friend, Vicky DeRosa. She has truly an inspirational story and I wanted to share it with you because there are powerful life lessons here that could be life changing. Read more below about Vicky’s personal story in my recent exclusive interview. See how she turned a potentially devastating disease destined for a dark hardship into a shining path of massive business success, health, and happiness… and with no limits in sight. Vicky: Thank you Laura, for allowing me to do this – it’s a pleasure to be able to talk about this. I now own a fitness and health studio in Colts Neck, New Jersey. It’s extremely different from what I used to do. I used to own a construction management company. About five and a half years ago, I woke up one morning and over a four or five day period I had lost most of my sight. It continued to go downhill. It took almost six months before I was actually diagnosed. This was after a series of misdiagnoses such as MS, brain tumors, stroke, stress – I heard the whole gamut. Anything doctors could name. I was finally diagnosed by a physician in New York. He was actually a Neuro-Ophthalmologist, but he specialized in rare diseases. He thought I had something called Leber’s Hereditary Optic Neuropathy, but he couldn’t be sure until we got a DNA test. Sure enough, I tested positive for it. When he called to tell me, he actually said, “I regret to inform you, but you will be blind, very, very soon. What he meant by that is that this disease actually manifests itself and progresses for six months. I was so far gone at that time, that he thought that in a matter of weeks I would be completely blind. The first thing that they wanted to do was put me in a blind hospital, so I could learn how to live a blind life. I, of course, got a second opinion. It was the same diagnosis. Then I did get involved with some wonderful people – The Foundation for the Blind contacted me. All sorts of wonderful people tried to help in the way that they thought would help me, but you know Laura, I simply refused to allow myself to go into that world. I refused the blind hospital. I refused any kind of disability. I didn’t want a seeing-eye dog. I believe that you can truly fight anything, as long as you truly fight with all of your body and all of your mind and all of your strength. It’s so hard sometimes to explain this to someone who’s not open to it, but you can – with your mind – cure anything. You can envision financial success. You can envision a happy life. You can envision a happy family. You can bring into your life and your world, whatever you want. Because that’s the way that I live, I thought if I can just fight the blindness and believe that I will be a seeing person again one day then it would come. So of course, I told the doctors that I was going to be a seeing person soon. In fact, the number that I actually used was five years. I’ve actually been able to regain most of my sight, which is shocking to the doctors because anyone who knows, knows that the optic nerve never regenerates. This disease actually causes damage to the optic nerve. Well, my optic nerve is regenerating and the doctors can’t explain why. They know it’s rare. They say, “Well, in some rare cases, I guess some people do.” But here’s what’s amazing about my story, Laura. This is why I try to tell people nothing is a curse. Nothing is bad. Laura: Throughout this entire thing, other people could have looked at this as such an obstacle. But you completely turned this challenge into an opportunity. So many people can learn from you and the power of your positive mindset and what you’ve been able to overcome, just from your sheer willpower and positive mindset. What do you do? I mean do you surround yourself with positive people? Do you have a supportive network? When you first woke up that one day when you had lost your eyesight, what went through your mind right away? Vicky: Here’s how positive and optimistic I am, Laura. This is actually a joke. I’m currently writing a book and I hope to be finished by August of this year. In the very beginning of this book, it actually explains what I thought. This is a true story. I was sitting at my kitchen counter, which I did every single morning, I love to read newspapers, well…I used to anyway. So I picked up my first newspaper – I usually read around three every morning – I picked it up and I actually thought that the newspaper had made a mistake and the words were distorted. I went to the second newspaper and I thought, “Well how bizarre! The Star-Ledger too, in addition to the Asbury Park? How could they mess up the print like this?” I went to the third newspaper and I thought some strange coincidence had happened and the newspapers had all had problems with their print. When my husband woke up, I showed him the newspapers and he said, “There’s nothing wrong.” Then I realized that I had a problem with my eyes. But that first day, I didn’t really think anything. I was close to 40 and I thought I just needed reading glasses. Only when I went to the optometrist -I made an appointment with the optometrist here in town and he realized there was a problem right away. Because my eyes were actually perfect and he went out to the waiting room and told my husband that I needed to immediately get to a specialist, that I might have a brain tumor. Laura: Oh my goodness. Wow. Vicky: You know, it’s not – here’s the thing – and not to sound too corny – but if you’re a faithful, positive person, when something happens in your life, you can’t question it. You can’t think it’s a bad thing. You just have to follow – you know everything that happens in your life is meant to happen at that exact moment that it happened. If you know that there’s a plan for your life, how can you actually get nervous and anxious and worried and scared? It’s meant to be that way at that moment. You can’t fight it, so it’s easier to just go with it and understand that there’s a very good reason for it. Laura: What is the reason then, for this to happen to you, is it for you to make an impact on so many others, to share your inspiration? What do you think the reasoning is? Well, in September of 2009, and Leber’s disease, that’s why it was so hard to diagnose with me, because it usually affects men between the ages of seventeen and twenty-five. My son – I have two sons, twenty and twenty-two – my twenty-two year old called me and said that he had blurry vision. We instantly brought him home and, you know what, Laura? I did some strange things with vitamins and this health drink that I’ve always drank. We pumped his body up with vitamins and this health drink. He couldn’t see very well that day. By the time I got him to the Wills Eye Hospital, which is where I go to now, the very next day, his vision was 20/20. Now he lives on his vitamins and this health drink. He listens to everything that I ask him to do. But the point of the story is, he’s twenty-two years old. He’s a prime candidate for Leber’s disease. If I didn’t have this disease, when his vision got blurry just like mine did, we wouldn’t have known what it was. There are certain things that you can stop doing so that it doesn’t progress so quickly. You know, you’re not supposed to exercise. You’re not supposed to drink. You can’t do anything that puts any amount of stress on the body. So he would have continued in the same – you know, he’s twenty-two years old, he exercises like a fiend – he would have continued in the same vein. We would have been taking him to the optometrist, from one to the next and his vision would have continued to get worse. Meanwhile, it’s crazy when you think about it, but I feel the reason that I got it was to help my sons. Laura: Wow, so you’re saying – now this disease is genetic, isn’t it? Laura: And I think you told me at one point, when you first found out that you actually traced your genealogy – Did you do that? You were able to trace your genealogy to the very roots and you actually found some ancestors who had the disease? Vicky: They didn’t at the time know that they had… You know, it’s funny. we were able to trace it back to, like, a hundred years ago. Some great, great, great grandmother or cousin had it and they just simply went blind at a young age. So back in those days, it wasn’t even a disease yet. They just thought, “These people went blind.” So, yes, we sort of traced it, but they didn’t know what it was. Laura: So do you think that your son is very prone to getting this disease? Do you think he has that genetic predisposition? Vicky: Both of my sons – well my oldest son Raymond, that day – but both of my sons, they tested their DNA and they both tested positive for the disease. But the crazy thing is, my oldest son, who was symptomatic, now has 20/20 vision. He stays on the regimen that we have him on. He’s very, very healthy. There are a lot of things that he cannot do and he’s very cognizant of those things. The cool part is that both of my sons are very optimistic, very positive. They just simply don’t believe that they will have anything wrong with their vision. I wake up every morning, Laura and I’m grateful that I have this disease for those reasons. Because I’m afraid that if I didn’t have this disease, my sons may have ended up legally blind or, God forbid, blind. And I would rather it be me than them. So, believe me, this is no joke, when I wake up every morning, I thank God that I have Leber’s disease. Laura: Wow. You were able to identify it early, rather than living with it, you know how to respond to it. You’re very, very healthy too. I remember visiting with you at your gym and your eating extremely healthy foods. Do you think that has contributed to the progression of your, or eliminating some of the progression of your disease? Vicky: I do believe that, even more now. I always thought it was important to eat well. About six months ago my nutritionist, who actually did an assessment on me, because she was assessing so many of my clients, she did an assessment on me. And based on how I eat, she’s convinced that I was able to save most of my sight with just the way that I eat. When we first started to talk, I said to you that you can cure anything with the mind. You can envision anything positive that you want in front of you and it will come. But you can’t do those things unless your body is strong enough and healthy enough to do it. So do I believe you can cure yourself of cancer? I do. But do I think that you should be partaking in really bad habits and not taking care of your body? No. Then it doesn’t matter how strong your mind is, you won’t be able to overcome. You know I happen to think that preservatives are one of those evils out there. Most people don’t talk about all of those things. It’s just one big circle. The mind has to be healthy, the body has to be healthy, and the soul has to be healthy. All of those things cannot be aligned unless you’re eating well and you’re working out and you’ve got your heart strong and your blood pressure’s good. They all have to work together. Laura: I agree with you. I myself eat basically all natural and raw foods and I truly believe that what you eat contributes to your overall health. So many diseases could be prevented just by changing your diet. I truly believe that. Now you have a chance to share your message every single day with people, your message about staying healthy and fit and strong. The power of your mindset, I think, is really so key, so important. You’re the epitome of having this mindset. Just by your story you’ve been able to overcome so many obstacles. You don’t even view it as an obstacle, actually. Vicky: I always say to people, “The challenged life is a great life.” You can’t view anything as an obstacle. It’s all a blessing. Some of us have more challenges than others, that’s all, but they make life more interesting. If you let yourself get down and get depressed and get sad, you can’t overcome anything. I keep talking about this “envisioning,” but it really is important. Happiness is just a thought away. If you wake up in the morning and you tell yourself you’re going to have a bad day, I guarantee you will have a bad day. But if you wake up and you put a smile on your face, I guarantee you will have a happy day. It’s not what you have happen to you, it’s how you get through it and what you do with it. Laura: What kind of advice would you share with somebody who has had some hardships? When you say “envision,” envision something positive, a great outcome. For somebody who has experienced hardship, what would be a specific step that they can do to overcome this? Vicky: I’ll give you specifics because sometimes it’s hard to explain and people sometimes don’t take the opportunity to really listen and to really get it. I was going to use myself and my industry, but I’ll take somebody else. Say someone is down and out and they’ve lost their job. I always say to people, we should be cognizant of that, that a lot of people have lost their jobs, and some more probably will. You have to look at it as a blessing. If somebody loses their job, they’re not meant to be doing what they’re doing. They’re meant to do something else. Whatever that is, they need to find out what they’re meant to be doing. You do that by, “What is it that I love to do most of the time, that I can make money at?” You answer that question. I’m a big believer in writing things down. You carry around a notebook so that you can put your thoughts on paper. You write down what it is that you love to do. It might be picking flowers or it might be arranging flowers, whatever it is. Say you’ve lost your job and you love to write. You make a place in your home and you turn it into an office. Even if you don’t have space, you find space. And you put a desk and you put paper and pen and a nice chair and a lamp. That has now become your office. You get business cards. You don’t have to spend a lot of money. You can make them yourself. You get business cards that say “Vicki DeRosa – Writer” and then you put your home address and phone number. But with all of those steps you start to make marketing material. Whatever it is, you start to take time out of every single day and you go to your office and you’re going to write. The reason that I’m saying all of this, is whatever you need that’s part of your envisioning, that’s part of the visualization. That’s part of the positive attitude. You decide you’re going to be in that place, and you will get there. Laura: It’s those little steps and those little successes that propel you forward. Keep achieving those little successes and soon you’ll gain that bigger success. Vicky: It’s kind of like when we were much younger and when we were in college, people used to say, “Oh, dress for success.” or “Find somebody in your industry and emulate them.” It sort of is the same thing, but on a higher plain. You must become that person in that industry, even if it’s just in your world or in your mind, but you take the physical steps. You get the business cards, you get the right attire. I always say to people when somebody tells me that they’re waiting for an interview, or they’re waiting to get this job, I tell them, “Buy a party outfit and plan your party to announce your new job. Put it on your calendar.” Sometimes people think that things like that sounds crazy, but they’re not crazy. They will get you to where you need to be. When I’m waiting for good news, if I put it on my calendar and the time that I will get the phone call, as crazy as it sounds Laura, I will get the call at that day at that time. Laura: Wow, that’s sharing some really good insights. It is true, especially with the economy today, and with so many people losing their jobs. Actually, quite frankly so many are unhappy with what they’re doing and I do believe that you can create the life that you want. It just takes some serious planning and action. It’s just the speed of implementation, the little baby steps. Vicky: Once you begin to take those steps. It’s a learned behavior. For me it’s a lifestyle. I’ve been like this for so many years. It’s just part of my life. Say you take someone who is really negative and you’re trying to help them get along and get them to this positive place, if you take those steps, what happens is it starts to become a habit. Eventually it will become a lifestyle, but in the beginning, make sure that you remember to be positive and you remember to take those steps. It just becomes habit forming after a while. It’s the same thing with a positive attitude, you start to do it, and you force yourself to do it, then it becomes a habit. You do it every single day for every single thing, and then before you know it, you forget that you’re training yourself to do it. It’s just there. Nothing is ever bad news to me, as wacky as it sounds. I’ll tell you Laura, and I don’t mind saying this to people. One of the few times that made me kind of hold my breath for a little was when my son called and said that he had blurry vision. That made me hold my breath for a second. But the best thing for people to do, the way they change their lives instantly is to stop complaining! 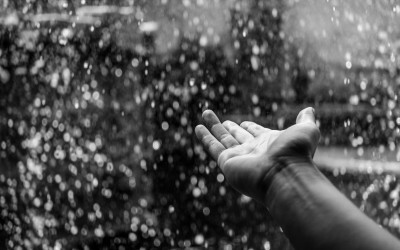 Don’t complain about the weather, don’t complain about what you had to eat, don’t complain about your clothes, don’t complain about the stain on your shirt from coffee. Don’t complain. If you stop complaining, you will immediately go into a positive place, more positive than you’re used to. Laura: I agree with that completely. That just puts you in such a negative energy seat, just by complaining. So do you surround yourself with positive people? Tell me about the network that you have, and your support system. If you look at some of the most successful people and you trace back why they’re so successful, oftentimes people will say it’s because they had such a great support system or a mentor that has been so positive and encouraging. Do you attribute anything like that for your forever-positive attitude? Vicky: I guess my mentor isn’t around anymore. My grandfather was extremely positive, extremely strong and extremely persistent. I draw a lot from my grandfather. He was a General in the Greek army. He was quite tough and also quite sensitive at the same time. Just to get back to surrounding yourself. You need mentors, they are important. But even more so, you need positive people around you. So my suggestion to people is to keep negative people away from them. You can do so many great things if you have positive people around you. I say this to my children, “Have like people around you.” The way to do anything great is to have great positive successful people around you. You can’t show me many successful people that are extremely negative and depressed. I happen to avoid negative people because they depress me. First I try to help them, and if they’re a little too standoffish then I wish them a happy day and I move on. I don’t want them in my circle because they just don’t make you happy. Laura: It’s just toxic energy and it just brings you down. You don’t need it in your life at all. It’s true. You can look at somebody and look at their five best friends. You can tell so much about that person just by looking at their five best friends. Even when it comes to your weight, for example, you take your five best friends and you take the hours that could be you. Whether it’s financial, or your health, or your weight, or personal successes, it’s really about whom you surround yourself with, and I couldn’t agree with you more. We all have choices to make, so why not surround yourself with people who are highly successful, highly motivated and highly positive? Vicky: True and you have to work hard at the success that you want. You have to build a foundation, just like we were talking about. You have to build a foundation of faith, positive attitude and a healthy body. All this is a foundation, if you want to get to a certain level in whatever industry you are working at, you have to work hard. You have to believe, you have to have faith and positivity, and then you have to work hard. You can’t expect to get there without some hard work. But here’s the kicker, if you love what you’re doing, I can easily work 16, 17, or 18 hours a day and it never feels like work to me. I tell people, “If you love what you do, you will never have to work another day in your life.” I work seven days a week, and I’m happy because I’m doing exactly what I want. Here’s the question that people should ask themselves. I could win $500 million in the lottery tonight, and I would wake up tomorrow morning and I’d do the exact same thing. That tells me that I’m happy doing exactly what I’m doing. If you say to yourself, “If I won the lottery, I would not wake up tomorrow morning and do the exact same thing.” Then you need to change your lifestyle. Laura: I agree with you there. So you run a fitness studio, you started it how long ago? Vicky: Actually this month is one year! Laura: Wow, it’s only been one year? Vicky: Yeah! We’re very excited. I haven’t really touched bases with you in the last few weeks, or last couple months. But we’ve been fortunate enough, in the last couple months, I have taken one of the drinks that I’ve always taken my entire life and I have turned it into a health drink. So we’re actually launching a health drink. You know what, Laura? It’s going to sound so amazing because it’s helping people lose weight. It’s helping people with their skin. I have this one client who comes to pick it up twice a week for her daughter who has Type-1 diabetes, and she just sent me a testimonial. She’s finding that her daughter, on this drink, is better than she’s ever been and doesn’t require as much insulin as she used to. Laura: Is this a drink that you created? Could you tell us a little bit about this drink that you’re launching? Vicky: Well it is mostly Dandelion Root tea. The best part about it is that it detoxifies the liver and kidneys, so we use it as a detoxifier in very large amounts. Most people at the studio are drinking it every day just as their drink instead of water. Most people say that they’ve reduced their caffeine intake with this drink. It gives you energy. It’s funny. One of my sons actually drives home from college. He goes to college in Philly and he comes to pick it up once a week so he can have a seven day supply. It provides a lot of energy, especially with the younger kids that have problems with their skin. Younger kids are finding that it helps with their skin, it helps the hair. Truly I am blessed that we have found this to be such a full of health product and I found a way to make it tasty, and people love it. I can’t tell you how excited I am about it! Laura: That’s awesome! Is it on your blog or your Web site? How do people learn about it if some people are listening? Vicky: It’s not on the Web site yet, because we’re patent pending now so we need our attorneys to do some work for us. We hope to be getting it out in the stores, supermarkets and health food stores within a couple of months. They can call me at the studio and I’d be happy to give them information on it. Pretty soon I’ll be able to get some things on the Web site, as soon as we’re cleared to go. It’s so exciting Laura, because really there are so many things that are touted as health products, and you know my issues with chemicals, and preservatives, and all of that stuff. The fact that this is all natural, and provides health is amazing to me. This is going to sound so wacky, but I feel like this is where I was supposed to be. I was supposed to do this health drink. The truly amazing thing for me is that my son is going to be my partner on it. Vicky: No, my older son, Raymond, is graduating from college this year. He has turned down the other offers and he will be my partner with this health drink. The whole family is very excited. My younger son is still in college and when he graduates, he’ll be going on to law school, so it’ll be quite a few years before he’s able to help us. But at least my older son will be able to help immediately. So as a family, we’ll all be excited about it. Laura: Something to bring you guys all closer together. Well that’s great. When I come by your studio, and this is for everyone listening, I’m going to stop by and maybe do a spin class hopefully on Wednesday if the weather is bad. I’d love to check out this drink that you’re going to be doing. Vicky: I think you’re going to come and do a spin class Wednesday, am I right? Vicky: Because I cannot keep up with the orders, I’m going to specifically write down an order for you. You’ll have to be honest with me, you’ll have to tell me if it gives you the amount of energy that everybody says. Laura: Ok. Wow, this is cool. This is so exciting. I had no idea actually, so I learned something new. Vicky: It’s funny actually that I had gotten involved with this health drink. I couldn’t find things that I wanted on the market. I’m not into protein bars and stuff like that, only because there’s so many ingredients that I don’t like in certain things. So I’ve created my own energy bread, I make my own soups. We’re getting into a whole line of natural foods, and hopefully one day very soon, I hope to launch all of those. I’m very excited about that. The whole idea is that we get natural, good, healthy food out there for people. I can’t tell you how thrilled that I am that we are. So much is going on around the studio that we all feel very fortunate. Laura: Oh it’s awesome. Sounds like you guys have such incredible energy there, too. If anybody’s having a bad day they should just stop by. Laura: Wow that is just so cool. I’m excited to try it out. Like I said, I myself am very into natural foods, and wholesome healthy foods. I try to stay away from anything that has preservatives in it. My only downfall is Cool Whip. It has all chemicals in it, but I like it on my coffee and my fruit. Vicky: Speaking of Cool Whip, I actually do this sort of thing based out of the studio. But I do this extreme pantry makeover where I go to people’s homes and basically get rid of the garbage in the pantry and try to introduce good healthy stuff. I explain why, and I go through ingredients and of course I have them go through and read ingredients to me, because it’s hard for me to read small print. I did one of these extreme pantry makeovers and I will not ever mention names, but this couple had Cool Whip in the refrigerator and sure enough, Laura, I hate to tell you, but I tossed it. Laura: Well that would be the only thing bad in my house that you would find really. That’s so funny. Vicky: I do know how healthy you are, I know you eat very well, so I’m sure. Laura: So lots of great things that you’re doing, you should make a reality show out of this. You really should. Vicky: A lot of people have actually recommended that. We have a videographer here that we’re working with, and we’re doing these… My idea was, I really wanted to do sort of a virtual gym and online classes on the Internet. So we’re getting there. We’re about to launch that program either this week or next week. We have the videographer that is phenomenal and he helps us quite a bit during the week. A lot of people have suggested that we do some kind of reality show: “Extreme Pantry Makeover.” I just don’t know how people would feel having their food thrown out on camera. Laura: Well you’d just have to ask. That would be really neat actually. Lots of good stuff going on. So tell me right now about your current condition. I know that you are legally blind. Vicky: Yes, I am considered legally blind, and what that means is that my vision is blurry. But you know what Laura; it’s come a long way. Five years ago when I was diagnosed the doctors who diagnosed me, and I’ll never forget this. They actually put it down on paper. They stated that I had a foot blurry. What that meant was, put your hand in front of your face about a foot away. That’s what I could see blurry. Now, you’ve seen me, I see everything, it’s just that it’s slightly blurry. I can see buildings in front of me, I can see cars, I can see everything in front of me. It’s just that it’s blurry. If you’re standing 50 feet in front of me, I can see you there. I just can’t see your face, that sort of thing. Therefore, I can’t drive yet, and I can’t read small print. But you know what, Laura? I’ve said all along that I will regain my vision. Not my vision, I’ve always had my vision. I’m very careful. My sight. I will regain my sight, 100% very soon. I’m a little late at 100%, I told the doctors it would be five years. But this is the sixth year, and I’m certain that I will regain my sight 100% this year. We’ll see how accurate I am, Laura. It’s March, so we’ll see. Laura: I believe you. I think you have just an incredible mindset. I mean everybody who is listening to you right now can learn so much from you. I truly believe that. That’s why I wanted to do this interview with you so badly, because you’re such an inspiration to everyone. You don’t let anything get you down or get in the way. What so many people do is let the small things get in the way and that gets to bring you down. But instead you’ve turned this town into such an opportunity, look at all the incredible things that you’re doing. It’s just such an awesome, awesome story. After you’ve got this out, I just wanted to hear some final words of wisdom that you have for everybody who is listening. Vicky: Here’s what I’d like to say just to close, Laura. It’s really truly important to have your faith. You should be faithful. I am convinced that you cannot have a truly positive attitude unless you are faithful. You have to be healthy; you have to fight hard to be strong and healthy and eat well, and exercise. You don’t have to do crazy exercise. You can go for a fast walk. Whatever it is, whatever you can find the time to do. Then believe it or not, and this is most importantly, you have to just listen. I believe that God is always tapping on our shoulders. I believe that things happen. Sometimes people feel like, you know, “I’ve lost my job, I’ve lost my sight, I’ve lost this person, I’ve had this terrible thing.” We’re being told something. It’s the people that turn away and don’t listen to the direction that we’re trying, to be taken. Those are the people that don’t understand. So I always say to people, “The most important thing you can do is just listen.” I was being told something. I believe that where I am today is where I was supposed to be. So along the way, along the journey, I just listened. One door would close, another one would open. You have to be in tune. When I say “Just listen,” it just means to be in tune. Be in tune with what is going on, and keep going. Sometimes we have to take detours, but we take them, and we take them happily. Laura: So you were just listening to the clues around you and to your intuition? I believe in that too. Very interesting. I’m sure all the listeners will be very inspired by your story. I am. Vicky: Well thank you, Laura. You’re always so kind, you have such great words and so much kindness. I appreciate it. It’s always such a pleasure to talk to you. Laura: Aw, thanks! So how do we get in touch with you? Do you have a Fan page? Do you have a Web site? I’ll share with everybody a way to get in touch with you, but just in case, do you want to let everybody know the best way to get in contact? Vicky: We have this great, well I think it’s a great Web site that’s called, StudioVHealth.com and I would love to hear from anyone. They can email me at Vicky@StudioVHealth.com. We’re on Facebook. As for Twitter, you’ll have to forgive me Laura. I’m not really up on all the Social Media. It’s not something that I can get involved with because of my hindrance with my eyesight. But Facebook fan page? I don’t know if we have that yet. I have people that help me with my emails. I’m always happy to get emails and I’ll always respond. I love emails, I love hearing from people that I don’t know. I think people come into your life for a reason. I look forward to talking to anyone by phone if anybody would like to call me my phone number is 732-431-2030. By phone or email, I would love it. Laura: Awesome, okay, well we’ll put that up there on my blog too, so people can get in touch with you. I think anybody would just learn so much from you. Well thank you so much for the time. I know how busy you are and I really appreciate you sharing your story with us and all the words of wisdom. I’ll hopefully see you on Wednesday and we’ll be in touch real soon! Vicky: Laura it was so great, and truly just the opportunity has been so appreciated. 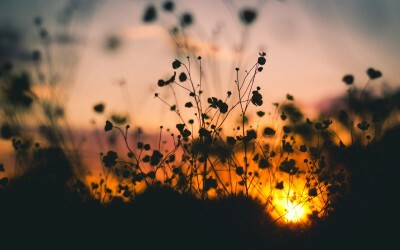 If I can help one person or inspire one person to get over any kind of an illness, or over any bad situation, that will have meant the world to me. I appreciate this opportunity. It was really, really a pleasure, thank you. Laura: Well great. Okay Vicky, I’ll talk to you soon then. Thank you. Vicky: All right, thanks Laura. Have a great day! Bye! So how did Vicky’s story impact you today? Would love to hear from you! Leave me a comment below, and don’t forget to spread the inspiration by sharing this post on FB and Twitter! I am so excited because there is a celebrity in the making… and he doesn’t even know it yet! This guy is one of the most genuine, passionate, knowledgeable, down to earth… and just a cool person who has so much to offer! His name is Drew Neiman and he is a wine maker in Napa Valley. Just like a gifted artist can create masterpieces with nuances of complexity and meaning, so can Drew with his exceptional wines. I met Drew Neiman recently on our wine trip to Napa Valley. After tasting his wines, I was surprised that I had never heard of him before. This is a shame because he makes such darn good wines and the rest of the world should know about it! Though he has an excellent reputation and is well known in his community (and some of their core networks among wine people), he really has not yet built a big name for himself outside that circle. The purpose for writing this post is to share 7 ways Drew can go from being largely unknown to becoming a rock star in the food and wine industry & among the wine enthusiasts in a very short period of time using Facebook! The best thing is so can YOU in your niche market! By following exactly what I am about to share with you, you too can become an authority, celebrity-like figure in your industry and build a powerful profitable business. But before I get into the specifics, I want to first provide the context for writing this post and give you a brief background of my recent trip to wine country. Then we’ll dive into the details. Sound good? If you want to jump ahead to get the 7 Facebook steps now, scroll down. I was inspired to write this article from my recent trip to Napa Valley and Oregon with wine aficionado Jon Brodsky. It was a fantastic trip that involved visits to wineries in Napa, runs and hikes, and a drive up the coast of Oregon with many cool stops along the way including Sand Dunes, Sea Lion caves, Cannon Beach, and Willamette valley (quest to find great Pinot Noirs), and finally stopping in Portland where we were supposed to run a 50K ultra run. Jon wrote an excellent blog post describing details of trip and a thorough wine review of each of the tastings in Napa Valley and Willamette valley. Click here read this very informative wine review— especially if you ever plan on visiting Napa or Willamette. This trip to Napa/ Oregon was an exceptional experience to say the least—thanks to our friends Norm and Mariam who connected us with friends who were well connected in Napa and had arranged for private tastings and tours with very special people! This was a very unique experience because we had the opportunity to meet and spend time with the actual wine makers, farmers, and vineyard owners themselves— as a result I gained new insight and learned so much more about the wine making process – especially during this prime harvest time. It is a super competitive marketplace today, especially in the wine industry—and businesses must continuously stand out and differentiate themselves from their competitors (in a more beneficial way) in order to sustain long term success. Just look at Napa Valley and Willamette Valley alone (the two main areas we visited) – there are hundreds of vineyards all within close proximity. So how does a vineyard stand out and attract their buyers with so many wines to choose from? Obviously to a wine aficionado, they are already going to have a preference and a loyalty to a certain brand. But to the average wine drinker, how to you win them over?! It is all in the marketing — whether it is word of mouth, newsletters, print advertisements, and of course social media marketing. Obviously the product needs to be good or all the marketing in the world won’t help! Throughout the trip, I was closely observing every single experience I had with each winery visit (and restaurants/hotels). From a social media marketing angle, I would play a game and think to myself “If I were a wine maker or estate owner what I would do to build a large following and attract lots of new customers! The possibilities are endless… even if wine production is limited! Now back to Drew Neiman. I was particularly excited about the explosive potential with Neiman— here’s why: Drew was a fairly young guy who was clearly an expert wine maker and he had passion that was contagious! I don’t care what business you are in—if you are that passionate about what you do, you will attract the masses who share your passion. Now combine that with the power of social media. Having a strong presence on social networking giants like Facebook, Twitter, LinkedIn has literally transformed businesses. In Drew’s case, I noticed that he has virtually zero social media presence— already poised for growth! In the next section, I am going to expose how this rising star can quickly become “famous” in the wine industry by building a powerful brand and huge community using social media. For purpose of this post, I am going to focus on Facebook strategies and will cover a Twitter and blog approach in second post of this series. Because of Facebook’s sheer size of 550 million users (and exponentially getting bigger), it’s viral nature, and the ability to attract a massive following of targeted people including friends, influencers, prospects and customers—Facebook is no doubt where Drew needs to be! I just want to make a quick point; even if you have no product yet or in Drew’s situation where he has limited production of wine to sell, he should absolutely still create a fan page for his business and work towards building his followership and strengthening his brand. This is very important because once you have built a loyal audience who gets to know you, like you and trust you they will also buy from you. So for example, if and when Drew runs out of his supply, why not create a website and sell all kinds of wine accessories—he’ll already have a targeted audience that loves him! Note, the purpose for using Facebook and other social sites is to build community and relationships—there is no direct selling. You can occasionally send people to your website or some other place where services and products can be purchased. So without further ado, let’s dive into 7 essential steps on Facebook that if implemented could catapult Drew from small business owner to celebrity-like status and authority within the wine industry—all while building a powerful brand and profitable business! Facebook: 7 Steps To Success! Upload a Picture – Drew has set up an account, but I don’t think there is any activity. The first thing I recommend is that he uploads a photo of himself. This will make a good first impression and people would be more like to connect with a real person they can see. Custom Designed Welcome Page– Once you set up your basic Facebook page (you can get step by step instructions from my Facebook training by entering name/ email in on the right side), It is very Important to have a nicely designed welcome page, also known as landing page. Set the default settings so that people automatically Land on your welcome page. Welcome pages are peoples first impressions so do not skimp on it. The important thing you want your visitors to do is join your fan page so that your content then get’s shown in their newsfeeds which is key for spreading messages through larger networks! Written Message— On the welcome page, Drew should also include written message describing who Drew Neiman is, what he does, and the benefit why people would want to join Fan page. Email Opt-In form– Have a way for people to enter email and subscribe to a monthly newsletter (or blog post). Every top marketer knows that your email list is your biggest asset. Drew should have an email contact form so he can start building his list, developing relationships with his subscribers by sharing his latest updates, news & tips about wine etc. Add Targeted Friends in niche market—wine lovers, restaurant owners, sommeliers, chefs, etc). For faster results, Drew should contact the Admin. of these fan pages and group and ask them to share a message to their group sending them to his new fan page. Also be sure to use your status updates to invite friends and inform them of new fan page. 3. Share Good Content and Be Active— it is not enough to just have a large following. 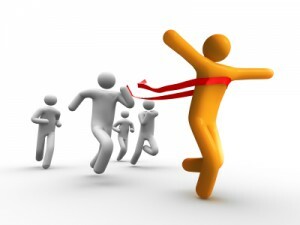 Businesses are more successful on Facebook when they have very interactive fan page. The better you post good content on a consistent basis, the more likely you will have a lively community that participates and comments on your status updates and be regularly seen in the newsfeeds. Anything that is noteworthy will be shared and will spread like wildfire. If your content is not engaging then you will virtually be invisible in the Newsfeeds. Also be sure to comment of friends updates as well. 4. Photos and Videos — Tests have been done to determine types of content that is most engaging and are “weighted” more in terms of rising to the top newsfeeds. Asking questions, sharing photos and Videos are among the top ways to drive those comments and likes on a fan page. Back to Drew Neiman—Fortunately, his business in the wine industry is perfect for sharing videos and photos! Who doesn’t want to see pictures of beautiful vineyards, harvested grapes, elegant wine bottles, luscious velvety red wine poured in a Riedel Sommelier bordeaux glass, natural caves, exquisitely prepared entrées, assortments of pairing cheese, etc. When I was in Napa, I couldn’t take enough pictures! How to taste wines; How to smell wines and the different factors that influence smell; How to pair food and wine; Video describing various cheeses and how to select the right wine; Video on harvesting grapes, Video describing the differences in grapes and different process for making wine… Do you get the idea? There are endless possibilities. As I said, Drew is very engaging, extremely passionate about his work and clearly an expert in wines—He should leverage video as much as possible, as I believe he could quickly become a wine celebrity very quickly! 5. Facebook Ads— the most hyper targeted form of marketing you can get is through Facebook Ads. It allows you to laser-like pin point your audience by tapping into their large database of demographic and social information of its 550 million active users. Use Facebook Ads as a strategy for building your community on fan Page. Run an Ad targeting a wine fan page with thousands of fans. 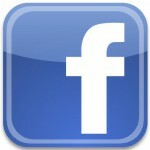 Have a clear call to action to “like” your page. The key thing to remember when building your network and fan base is to connect with people who are influencers and have large networks themselves and to build strong relationships with them. This can exponentially help to grow your own network— the more interaction and comments you get, the more likely it is to show up in Facebook’s newsfeeds which will expose you exponentially to the networks of your friends who have large networks. 6. Sweepstakes – An excellent way that Neiman could attract large numbers of people to his Facebook page is by running a Sweepstakes for a chance to win a free prize. There is a really cool application called Wildfire that provides this platform for running Sweepstake. It works by having visitors enter your sweepstakes and the application will randomly pick the winner. We see this a lot with cruises… win a free cruise… just fill in entry here. You can create your own requirements for entry in order to participate. For example, they must “Like” your page and then drive them to perform some other action such as enter your email, or follow you on Twitter etc. There are social elements to running a sweepstake. Anytime someone enters your sweepstakes, it shows up in the newsfeeds and exposed to large audiences and could become viral as friends of friends are likely to enter once they see all their friends active on your page. It is the social proof factor that comes into play here on Facebook especially. People are influenced by what their friends are doing. 7. Add Facebook “Like” box — This is one of the most powerful things you can do. 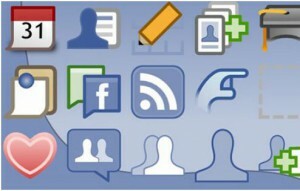 Facebook recently released new social elements called social plugins that tie your fan page to your website/blog. Here’s how it works: If someone goes to your site and that someone is logged onto Facebook, their friends who like your pages show up in the like box. The cool thing about this is it is a massive social proof feature— People are more influenced to like a page when they see their friends who like that page as well. With Drew’s in depth knowledge and years of experience in the wine making business, combined with his PASSION for wine, Drew will very easily and quickly build a massive, loyal following and become a major force and a celebrity figure in the wine industry! Wow—this was a ton of information I just shared! Do you now see the potential of Facebook as a powerful engine that drives you business? In fact, if you do not have a Facebook page, you are leaving money on the table. If you would like more information about setting up a custom fan page and developing a marketing strategy for your business, please contact me http://www.laurademeo.com/contact-laura/ . I work with a full service social media marketing firm and would love to discuss how we can help build your social media! Finally, if you found this post helpful and valuable, please share with your friends who you think would also benefit! This was a long post but I didn’t cover everything—please comment below what other strategies you have done on Facebook that has been successful for your business! If you are ever planning a wine tasting trip to Napa Valley or Oregon, then this post will be helpful guide and save you time in planning. It is a detailed summary of our recent trip to Napa and Willamette Valley written by Jon Brodsky. Jon is a wine aficionado and did extensive research prior to this trip. There is a bunch of wine insight here and useful information about restaurants, lodging, and wineries. For a different twist to the Napa/Oregon trip, see this version– a story about a “wine maker in the making” from a social media perspective! Saturday – We had an early flight from Newark to San Francisco. Unfortunately one by one everybody in the wine group dropped out of the trip until norm and mariam backed out Thursday right before the trip. Really unfortunate not only because we wanted them to join us but also because we had a nonrefundable 2 bedroom suite at the westin. We had arranged winery visits to some places that we had already been but that were worthy of repeat visits and that we wanted to share with norm and mariam. Additionally, Norms friend Bob, who lives in San Francisco and works in the wine industry, had scheduled some special things for us. So here’s where we went on our trip. Note – Having been to wine country several times now, one thing we learned is to share tastings. Primarily this is important because if you get your own you just end up drinking too much. Secondly, especially in napa, tastings can be very expensive. Some are up to $50 – Ridiculous unless you are tasting some of the really expensive cult wines, but even then for a 1 ounce taste this is very expensive. 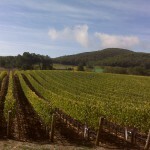 Peju – We drove straight to napa after landing and had a little time before our cakebread appointment. Peju was nearby so we stopped here. The wine server was fantastic. We tried about 5 wines and he had a different rap song for each one. The wines were good and he was very entertaining. I think the tasting was $15. I bought a bottle because the wine was decent and they put the tasting fee towards a bottle, so the $30 merlot only cost another $15. Cakebread – We had been here before. The tasting is by appointment and in the actual wine making facility. I didn’t really like the sauvignon blanc that much. The chardonnay was good but typical cali chardonnay, ie oak, though maybe a little less so. The cabernet was good, not great. I don’t think we tried the reserve cab or whatever they call it this year. Tasting was $15, somewhat boring, wines surprisingly only ok as I was expecting to love them. Heitz – Tasting is free. This is the only one that I know of in napa where its free. We had been here before as well but we had time before dinner. The wines here, right down to the basic napa cab, are all really good. We got to talking to the server and she poured us Martha’s vineyard and another single vineyard cab that I wasn’t familiar with even though they weren’t on the tasting menu. Great stop in napa. They don’t make a bad wine. Farmstead – Had dinner here. Its in St. Helena right across from Tra Vigna (our favorite), and though I wanted to go there I knew we were going the next night so I was ready to try something new. They grow all or most of the food on the menu right outside the restaurant. I had chili and a salad. It was excellent. Lots of herbs. Laura had halibut. She liked it. We also had the wine they produce there called Longmeadow Ranch. It was average, but they have a $2 corkage fee if you decide to bring your own. That’s right. $2. No, I didn’t leave off a zero. On top of that, they donate the corkage fees to the local school. Westin napa verasa – Nice hotel, not fantastic, but it is a westin and it has those awesome heavenly beds. I tried to cancel the reservation or at least go to a regular hotel room (we had a 2 bedroom suite that we were going to use with norm and mariam), but they wouldn’t let me as we were past the deadline for canceling. I made a big enough deal about it though that they let me go from 4 nights down to 2 nights. Phew, because it was $700 a night. Le Toque, which I think is one of the best restaurants in napa, had recently moved to the hotel. We had been to the old Le Toque years ago and loved it. Sunday We were going to run Dipsea today but it was raining way too hard. Dipsea is one of our favorite trail runs and its just outside san Francisco. We’ve run it many times and even named one of our cats Dipsea, but in the heavy rain it would have been too dangerous, not to mention not fun. Instead we ran on the treadmill in the fitness center. They had a decent fitness center with good machines, but who’s in charge of these things fitness centers? I’m not a fitness pro, but at least I could design and run one better than almost any are run at hotels. It must have been 75 degrees in the fitness room. I got to 3 miles and decided to bail on the workout even though I was going to do at least 5. I felt ok but it was way to hot. 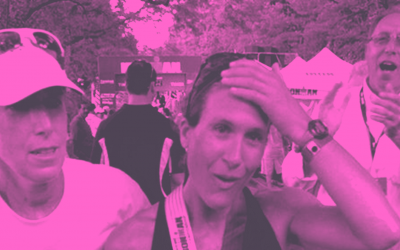 Laura showed true ironman spirit and persevered for about an hour. Phelps – With time to spare now since we had cancelled our dipsea run, we decided to schedule the morning seminar at phelps. It’s $40 per person but free if you join the club. I’m usually against the club if it’s a wine you can otherwise easily obtain (what’s the point of committing to phelps when you can just get it at the local store), but getting the $40×2 tasting free convinced me. For the $40 you got a 1 ½ hr seminar on phelps history and in this seminar a lesson on the different smells in wine including a test on 12 different smells. It was very informative and the lady who led the seminar was very knowledgeable and really into it. I got 10 out of 12 by the way as did Laura (she claims). Also as wine club members we got to try all their regular wines as well as an older cab and the much hyped 2007 insignia (97-100 WA, the “best insignia ever” according to RP) and Bacchus (not rated but a little more expensive than insignia). I was very excited to try insignia and I liked it a lot, but I wouldn’t give it 100 points. Maybe 96-98. Either way, it was a great visit. I had to buy 5 bottles of regular phelps as part of the club, but it was only $140 on top of the tasting and as part of the club I am entitled to buy 2008 insignia for $119 on futures. They also do other seminars such as differentiating cabs from different regions. Phelps is a worthwhile stop. Del Dotto – I had heard several people say the loved del dotto including Rick Veigh who had just been there the week before. We went to the newer St. Helena site as opposed to the older Napa site. They are known for their barrel tastings and their caves. The whole place is extravagant, all in marble, with piped in opera in the caves. Its $50 per person and you really can’t share because its part of a tour through the caves, so it cost $100 for the two of us. The wine is all tasted out of barrels. Just like the facility itself, the wine is over the top, and I almost never think a red wine is too much. I could barely tell one from another as they all had loads of oak. In some of their wines they used scored oak barrels which imparts even more oak to the wines. They were good but only if you like that style. They also give you pizza (very good and we were hungry by this point) and other snacks. The whole thing was so fancy they even scan the wines you tasted with a handheld bar code scanner and give you a printout when you finish. Overall I would say go if you want the experience of barrel tasting, to see the opulence of the caves and the facility and if you like huge oaky reds, but it was expensive. I did actually buy a bottle because it was so different from the usual. Dean and deluca – Quick stop here for a little food to help offset the wine. Also Laura loves it here. It’s where we got the infamous kale on the last trip. They have tons of gourmet foods and wines, all retail or way overpriced. Laura got a salad so we were both happy. Pride – We had been here before and I love it here. It is appointment only but well worth it. I think the tasting was either $10 or $15. The drive up spring mountain is steep, twisty and fun. The facility is clean and way up high on the mountain. The tasting is informal. The place is the opposite of a place like Del Dotto or Opus. There is no pretentiousness here, just awesome wine and regular people working in the tasting room. The caves are real, dug into the side of the mountain, and you really feel like you are in a cave. The barrel tastings were fun and the wines are great including even the merlot. I bought 2 bottles and we got a coaster as Laura wants coasters from some of the vineyards. Tra Vigne – Ah, my favorite casual place for dinner. Unfortunately even though it was truffle season they didn’t have my favorite, the truffle risotto, on the menu. When I mentioned it though, the waiter went back to the kitchen and the chef said he would actually make it specially. It was $45, but they shaved white truffle all over it. It was awesome! I also had a half portion of the rabbit papparadelle, another of my favorites here. Laura had a salad and fish which she liked as well. Monday Started off the day with another pathetic 3 mile run on the treadmill today. It was a little earlier and a little cooler, but glad I did it as this is going to be a big eating and drinking week. Thanks to Norm today we met Bob Wells and his girlfriend Cathy. Bob does something in the wine selling business though I’m not quite sure what. He seems to know almost everybody of note in napa. Without mentioning names, I was very impressed by his blackberry address book. I thought I might try to steal it when he wasn’t looking, but then I thought I wouldn’t get very far with phone numbers as those people don’t really know me and would just hang up if I called them anyway. Bob set up appointments for us that we never could have done on our own as these were not public tastings. Nieman – First on the schedule we met with Drew Nieman. He is a fairly young winemaker who has made is own wine for a few years after having worked as a winemaker at Kongsgaard for 15 years. He doesn’t have his own facility so we met him at John Caldwell’s vineyard. As an aside, we tasted Caldwell wines there last year and John brings his wine to NJ to dinner with us and is in fact coming to dinner the week after we get back from our trip. The vineyard is in south eastern napa way up a mountain and the tasting room is deep within the caves. Drew has his own little tasting area where he has only a few barrels of wine. He takes obvious great personal pride in his wine. This is nothing like going to a place like phelps or even pride. This was an experience like no other. Drew went to oxbow and personally picked out 6 cheeses which he felt went best with each of the wines. And to top off the experience the wine was amazing. We had a white (or maybe 2, I forgot because the reds were so good) and 4 reds – merlot, blend, syrah and cab. The reds were $80 except for the cab which was $225. The syrah was off the charts great. It reminded me of run rig but a little more restrained. Big but not too big and balanced. The cab was outrageous. I put it against any cali cult cab. We tasted the 2006. The 2007 was still in the barrel but he claims it’s even better. We left with 6 mixed red bottles. The white was great as well, I’m just not a big white drinker. Can’t wait to share this wine. I am going to try to get Drew to come to dinner with us in NJ. Kenzo – Next up we drove to Kenzo Estate. Kenzo is a multimillionaire who made loads of money making video games. He decided he wanted to make wine and do it as extravagantly as possible. He spent $240 million on a new vineyard and facility. Included in this was unearthing the top 3 feet of soil over lots of acres because Heidi Barrett who is consulting winemaker for Kenzo suggested this was the thing to do. The facility was very nice, but $240 mil?? He makes 5 or 6 wines. We had most of them as well as lunch from Bouchon catered in to the vineyard. After lunch, Laura and Cathy helped on the sorting line along with 5 or 6 other sorters who worked at the vineyard. This was the highlight of the visit to Kenzo. They had just harvested and this isn’t something you ordinarily get to do. Oh, almost forgot, the wines. They were ok. Overpriced. $60 sauvignon blanc that was good, not great. Also a few reds with Japanese names that were also good but not that noteworthy. We didn’t buy anything. Quintessa – We stopped by since we had a little time between Kenzo and Kelly Flemming only to be turned around since we had no appointment. Napa really can be formal. Auberge – Just stopped for drinks with the time we would have spent at Quintessa. The back porch by the bar area is gorgeous with fantastic views of the valley. We had a quick drink and Laura had her salad. It’s a great stop, but $1000 / night to stay there? I guess if money is no object its probably the nicest place in napa, but I would have a difficult time justifying the cost. Solage – Bob arranged dinner at Solage. There were 9 of us including Bob and Cathy, Ashley who we met at Kenzo, Michael and Keiko who own restaurants in NY and Napa including The Four Seasons in NY, and Herb and Jennifer Lamb. That’s right – Herb Lamb of Herb Lamb vineyards. If you are a wine guy you know of him. I couldn’t believe it. This guy is responsible for growing grapes that go into some of the most expensive and sought after wines in the world. They were some of the nicest people I have ever met. We spent 4 hours at dinner. As it turns out due to the rain that Napa had just gotten with more expected later in the week, they were going to finish harvesting all of their vineyard tomorrow. And if dinner wasn’t enough, they invited us over to the vineyard to help harvest. Wow. We had been planning on starting out toward Oregon to Willamette Valley after dinner, but an invite like that!! We had checked out of the westin, but decided to stay and find a room somewhere so we could join them in the morning. I don’t remember what I ate. Dinner was secondary to meeting the Lambs. I do remember that Bob brought a pinot noir and a nieman shiraz, Herb brought his own wine. All were great. Rancho Caymus – We called around at 9:30 after dinner and got a room at rancho caymus. The front desk closed at 10, so we hurried over and checked in. It was under $200 which is a bargain in napa. It isn’t associated with Caymus but rather with Rutherford. The rooms were nice, atmosphere was good, its right by St. Helena which I think is one of the nicest spots in Napa (you might argue Yountville is as nice) and the price was good. Tuesday – Since we didn’t have to be at the Lamb’s till 9am I let Laura talk me into running outside as it had stopped raining. It was actually a great morning, probably upper 40s and clear. It was too dangerous to run up and down Rt 20, so we ran the crossroad to Silverado Trail. We ended up doing about 6 miles at a decent pace and I felt good. Herb Lamb – We got to the Lamb’s at 9am. The vineyard is way up a hill on the east side of Napa with views over to the mountains across the valley. It is remote and you would never find it if you didn’t have directions. Its also on a really steep hillside. Jennifer uses a 4 wheel drive atv to go around the property because the driveway is so long and steep. When we got there, she invited us into her house while we waited for the crew to come pick the grapes. They were a little late but I was just really happy to be there having breakfast in her kitchen and on their back deck overlooking the vineyard and the valley. They have a cat and 2 Labradors – one is older and follows her around including riding in the passenger seat of the atv, the other is younger and wants to play ball. You throw the ball off the deck and it rolls down into the vineyard sometimes 10 rows deep and the dog races off the deck and flies through rows of vines until it finds the ball and brings it back. What a life the Lambs have there. 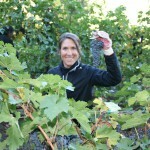 When the crew finally arrived, we spent the rest of the morning picking grapes for the 2010 Herb Lamb cab. It was a fabulous experience and we were promised a bottle. The next time out to napa can never top this. Duckhorn – On the way out we decided to stop at Duckhorn as we were passing it anyway. We had been there several times before thanks to Marie Bonvicino telling me about it about 10 years ago. They have 2 tasting choices – for $10 you can get their “regular” wines that they distribute to the country, for $15 you can have the reserve tasting with a bunch of single vineyard wines. We shared the reserve tasting. It was well worth it. We sat outside on the deck and ended up talking to the server who basically poured us both tastings as well as some library wines. The regular wines are really solid, but some of the single vineyard wines were great and I bought a bottle of cab for about $100 that was fantastic. The rest of the day we spent driving up towards Oregon. We stayed in Medford, about 250 miles south of Portland and had dinner in a very unremarkable brewpub. The beer sampler had 8 beers, I had my favorite bacon and hot pepper pizza and salad, Laura had her salads, we brought in a bottle of wine for $5 corkage and the whole bill was about $50. Financially speaking, it was good to be out of Napa! We stayed at a marriot near the highway which was also pretty inexpensive. Wednesday – Not a huge wine tasting day. Woke up in southern Oregon and started driving up the coast which I had heard was beautiful. It was but I think the California coast between Monterey and Santa Barbara is even more beautiful. The unique thing about the Oregon coast are these huge rocks just off the coast jutting up out of the water. Some of them look to be 100 feet tall. Sand dunes­ – Near Florence on the central coast they have vast sand dune. We ran through one to the ocean probably covering 2 miles each way. It was beautiful. You can actually sand board down them, but unfortunately the sand boarding area was closed on Wednesdays. Sea lion cave – Biggest shore cave in the US, 2nd biggest in the world. Hundreds of sea lions hang out in here, though during the day they were mostly swimming around looking for fish just outside the cave. A worthwhile stop if not to see the sea lions then to check out the lighthouse just north of the caves, supposedly the most photographed lighthouse in the world. Tidal Raves – Read about this restaurant in Depoe Bay in Fodors. Its known for the views from the cliff right out to the ocean. Food was below average, had a King Estate pinot and bought the bottle because it was only 3 times a glass in price, didn’t like it much, took the rest of the with us and never touched it again. Views were decent but nothing like Pacifics Edge in Monterey or Nepenthe in Big Sur. Highlight though – we saw whales right outside our window as they swam by. Newmans at 988 – Dinner here was very good, not great, but definitely worth the stop. It looks like a house and only has about 10 tables. I was really looking forward to the pasta with foie gras and truffles. They gave you plenty of foie gras, only a bit of truffle flavor. It was good but I was not blown away. Laura of course had more fish and salad. I couldn’t get her to try the foie gras despite my best efforts including cash bribe. Ocean Lodge – Stayed in Cannon Beach at the ocean lodge. Cannon beach reminded me of the Maine coast. It was a great little town, no doubt the most upscale on the Oregon coast. The room was first floor and walked directly out to the beach with huge Haystack rock just north. They had homemade cookies in the lobby which I loved and Laura even had as well. I would definitely stay here again. 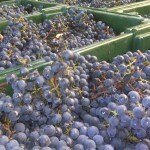 Thursday – 2 big wine days to come in the Willamette Valley. To start though Laura was rebelling because eating and drinking was way overshadowing exercise. I agreed to run 8 miles on a trail in Ecola park in Cannon Beach. One thing about Oregon is it rains a lot. The trail was muddy and super hilly. We ended up running about 8 miles but it took 1 ½ hours since it was so difficult. There was a 1 ½ mile section with 1200 feet of gain which I mostly hiked to save my legs for the 50k in 2 days. I actually felt pretty good though and Laura was satisfied that we ran pretty long. Views from the cliffs up 1200 feet are beautiful. Theres something about the view that’s better when you hike there than when you drive there. I would recommend stopping here, ideally in good weather. Elk cove­ – First winery. Had heard it was good through internet research. Pinots noir and some whites. Didn’t like them much. Fortunately tastings in Oregon run from $5-15 so you can taste all day for $100 unlike Napa where $100 might get you an hour depending on where you go. Carlton wine studios – Michael and Keiko sent us here to meet Ellen and Bob Brittan from Brittan wines. There are actually around 10 small wineries that taste their wine out of this little wine bar. The server was very knowledgeable. We particularly liked Retour pinot (servers sisters winery), though it was $65 which is a bit much for Oregon pinot. We also loved Brittan pinot. It was in the $40s and really unique with a bit of a chalky, tobacco, coffee taste. Michael had called ahead and Ellen was expecting us. She talked about her wines as we tried them. We also had some Washington wines including Andrew Rich syrahs which were excellent as well. I had seen in Wine and Spirits that Andrew Rich made some of their top 100 wines. I think I may be becoming a Washington convert. You were right Duane. We bought a mixed case of these wines as well as some Ayoub. The server inadvertently signed us up for the wine club where you get about a case a year, but I had him reverse it. I have to get off some lists as I’m on too many and there’s so much good wine out there. I think this would have been a good one though because he would have sent some little known gems like the ones we tasted and hadn’t heard of before. Eyrie – This was I believe the first pinot producer in Willamette so we stopped by. The tasting room is in a warehouse type building which was out of the way compared to most of the wineries we were going to visit. It was only $5 for about 5 wines. I didn’t like any of them very much and wouldn’t go back. Archery Summit – Well known, good Oregon pinot, right? Well we got here at 4:05 but they closed at 4 and wouldn’t let us in. Damn. And its not like Napa where you drive down the main road and stop in at a winery here. In Willamette you go way off the highway on dirt road sometimes for a couple of miles to get to these places. Maybe we will come back tomorrow as a bunch of other wineries that I want to hit are right nearby. Joel Palmer House – Dinner here was supposed to be great according to Fodors. Again it was good but not great. They were known for cooking with mushrooms so I got 3 appetizers with different mushrooms. It’s a fancy place but you can wear jeans. With wine it was $100. Not bad at all. We got an Oregon pinot and a Walla Walla syrah. I would go back. Maybe I had had just too many average pinots during the day today. Westin, Portland – Instead of looking for a place to stay for the next 3 days we decided to make the 30 minute drive to Portland. At least we could be back in a Heavenly bed. The westin is decent, parking was expensive at $29/night, but the room was only $140. Friday – Big wine tasting day in store and hoping to find some pinots that I would love. No workout today since we are planning the Autumn Leaves 50k tomorrow. Bergstrom – Started out going for well known wines with high hopes. They were ok, not great. Didn’t buy any. Beaux freres – Appointment only here. Winery owner is Parker’s brother-in-law and Parker in fact owns a piece of the winery as well. This had to be good, right? We tasted 4 wines including a library wine. Again we shared tasting this time for $15. The wines again were good but not great. I was disappointed. If Beaux Freres wasn’t great I might not like much here. Single vineyard wines cost $90, blend was $55. Didn’t buy anything as I am on the mailing list and you can get it at Bottle Shop anyway. Ayres – Had read great things on the internet about this tiny winery. Also appointment only. Don, who owns Ayres, personally tastes the wine with you in the winery which is also his house. He spent about an hour with us. The wines were all really good. I had never seen this wine in the store before and we left with a case. There was no tasting fee and the bottles were only in the upper $20 to mid $30 range and he shipped to NJ for $50. What a great buy. As we were finishing the tasting the winemaker walked through the winery, which was really just Don’s basement. He had a bottle of wine that he had opened the night before. He walked by one of the fermenters, opened it and proceeded to dump the remaining wine from the bottle into the fermenter. I just thought this whole place was so cool. Definitely call ahead and stop here. Archery summit – Went back after missing it the day before. High hopes here. Wine was again ok. Couldn’t believe it. I had had archery summit before and really liked it, now I thought it was good, not great. Told the wine server that we just missed yesterday and he said if he had been there he would have let us in. Some of the single vineyard wines are close to $100. I wouldn’t pay that much for them. Domaine serene – Just down the street from archery summit, this was as close to a napa winery as there is with a big Spanish style winery. Tasting was $15. The wines were good but again I wasn’t blown away. The server got relieved for a few minutes by another guy who poured us a bunch of stuff not on the tasting menu including a 2002 single vineyard pinot. Personally I thought it was a little past peak but he and the other server raved about it. It was definitely different than the new vintage and interesting to try them side by side. I have to go through my wine and make sure I don’t have too much wine that’s too old. We bought a coaster, no wine. Domaine drouhine – Right across from domaine serene. The great thing about this place is the view across miles of vineyards and valley. They make I think 3 wines. Had gotten Laurene single vineyard from JJ Buckley in the past and loved it. Tasting was I believe $10. I liked all the wines but the prices were retail and JJ Buckley was about 30% off, so we didn’t leave with any wine. Cristom – Witness Tree and Cristom are far away from most of the other wineries, almost 20 miles south. I wanted to make sure I came here though because Cristom was the first Oregon pinot I ever had that I really loved almost 20 years ago. For $5, we tasted a bunch of their wines including single vineyard wines. They unfortunately recently had phylloxera and had to replant their whole Marjorie vineyard. The wines were good but again I was surprised I didn’t love them. Witness Tree – This winery was named after a huge and beautiful tree on top of a hill that’s been there for over 200 years. It had been used as a survey marker since the mid 1800s. The tasting was $5. The wine was not great, the best I thought being the dessert wine, I think a Riesling. We didn’t buy anything. Ned Ludd­ – Got recommendation for dinner here at one of the wineries. Its in Portland, not a great area. They have unusual things which I loved. I had braised rabbit, chacuterrie including duck bacon and some other interesting things. The wine list was full of Oregon pinot which I just could barely even think about any longer. We had one glass of pinot and a Walla Walla syrah which was a relief. Laura stuck to her fish and salad. This place was interesting. Glad we went but wouldn’t make a point to go back. Saturday – Got up at 4:30 to run 50k in the cold misty Oregon morning. We drove the half hour to Champoeg Park, went to register only to be told that there was no day of registration. Damn. I was sure it said you could register day of on the website. When I asked them they admitted that it did but they posted during the week that it was sold out. I told them we came from NJ to do this race but was just told sorry, sold out. This would never happen at a jsrc event. We decided to run anyway as I had to get a long run in prior to jfk 50 in 3 weeks. We would just self support. We still had 6 little bottles of water in the car and some nuts and a piece of an energy bar. The race was 5 10k loops. We got through 3 when it started to rain harder and it was still under 50 degrees. Its so easy to dnf when you don’t register, so that’s what we did. Ran 18 miles, had a bad attitude over the race organization, froze, got wet and left. On the plus side we saved $65 each on registration. And I did eat 2 cookies from the aid station and had a cup of water. I will write the race director and tell him what I thought, that if it closes that’s fine, but at least say it might ahead of time. South Park – Had dinner here based on recommendation from Anna at the westin front desk. Excellent food, had 2 flights of 3 wines, 2 ounces each, one flight from Oregon, the other Bordeaux blends. Played our little game where we both tasted the wines blind and were able to correctly tell which of the blends was Italian, French, Oregon and California. Love doing this. Its good to practice as it’s a useful party trick. The produce was all fresh and local. Anna even sent us a salmon and arugula appetizer compliments of Westin. The people are really nice in Oregon. Again, fancy dinner and only $100. To end the trip we got thai food at a little shack on the roadside in the center of the city. Man, it was good and spicy. Got an extra to bring home. Also stopped at whole foods and got kale for the trip home. There you go David – yes we got kale. It was good too. Wine Summary – Napa wine is great. If you ever get a chance, try Nieman. I will bring some to one of our dinners. The little producers in Napa take such pride in their wine, like an artist loves their painting. I hope to get Drew to come to dinner with us. Also Pride still rocks as does Duckhorn. 2007 insignia was excellent but not sure if its worth the hype, plus at $225 post release retail its getting pretty pricey. The Phelps seminar was worthwhile though, and it is certainly worthwhile to taste the wine parker awarded 100 points. If you are going to napa and want to really enjoy yourself, prepare to spend big bucks. Willamette on the other hand is a lot less expensive but I really didn’t love the wines all that much. It was nothing like napa in that it wasn’t nearly as built up and much more industrial. There were used car dealers and warehouses all around. It didn’t have the same charm as napa. As for the wines, I wish I had some Merry Edwards, Williams Selyam or Sean Thackery to compare to the Oregon pinots. I’m pretty sure the California coast pinots would win almost every time. If you go to Willamette, definitely go to Ayers and Carlton wine studios. There were a bunch of places we missed going to but ran out of time not to mention how much can you eat and drink in 1 week anyway. Next wine trip I really want to try Washington. You can add Italy and France to the list as well – maybe Bordeaux marathon next. The race had passes by at least 20 wineries and they sample the wine during the race at most or all of them. It would be more like a 26.2 mile wine drinking hike than a race. I think I like the bigger syrah and cab blend style more though I was really hoping to love some of the pinots. I would also consider staying in Willamette though I’m not quite sure where. The Allison was supposed to be nice. Also Cannon beach was a very worthwhile stop. In summary if I was planning a trip to wine country, especially if it was a first wine country trip, here is what I would do. 1- Go to Napa. Don’t stay in Sonoma. Don’t bother with Willamette unless you really feel you have to go. 2- Consider Rancho Caymus. Price is right, location is good St. Helena is a great place to stay. Napa is a little more like a small city without a whole lot of napa valley character. Yountville is also really great. Calistoga is pretty far north and has a lot of older places that don’t seem as great. 3- For dinner, definitely go to Tra Vigna. Personally I also liked Farmstead. From a previous trip Bottega was a nice place in Yountville. If money is no object, go to French Laundry or Cyrus, though I have never been to either, just going based on reputation. 4- Wineries – If you can go to private tastings like Nieman, do it. The little guys make fantastic wine and take pride in doing it. For public wineries – must go to – Pride, Caldwell (private but you can make an appointment), Phelps. All are appointment only. If you are there for more than one day – Duckhorn, montelena, regusci, darioush, silver oak, heitz, caymus, shramsberg if you like sparkling wine. Skip overpriced tourist traps unless again you really have the urge – opus, del dotto. Cakebread, while not overpriced, was surprisingly boring. Don’t forget to call ahead to see if you need appointments. If you are in Sonoma, Merry Edwards wines are fantastic as are Williams Selyem. Both are appointment only. Chateau St. Jean and Arrowood are also good. 5- Tours vs tastings – If you’ve never been go for tours. If you just want to try the wine go for tastings. Tours are time consuming but can be educational. I took the mondavi tour years ago and it was the most complete of all the tours, but if you are there more for the wine why bother trying mondavi napa? And I don’t think they tasted reserve but cant remember. Some tours, if unique, are good – shramsberg for example. 6- Talk to the hosts at the wineries. They will often serve you extra wines not on the list. For example since I showed interest and had some knowledge, I tasted Marthas Vineyard at Heitz and probably 5 extra wines at duckhorn. 8- Have a plan for shipping home. There are places that will ship for you. If you are getting a few bottles at a bunch of places you can bring it to a shipping company and they will pack it and ship for you. 9- If you can go with a big group I think it would be a lot of fun if you can all agree where to go. So now it’s your turn! Please share your thoughts or your experiences in the comment section below. Do you have any recommendations you would like to add? If you found this helpful, please do share this review with your friends if you think they will benefit from reading this! Thanks again to Jon for writing this review/summary.